Check out "Navratri Festivals 2017 Dates" - "Indian Navratri Festival 2017"
Navratri is a festival of Dance, Music, Colours, Holiness, Life and Religious Unity. It is one of the largest Religious Festivals in India. It lasts for 9 days in some regions of India it lasts for 10 to 15 days. It comes 4 times in a year. The most important Navratri in a year is Shardiya Navratri. In this year it comes in October Month. Navratri Dates 2017 in October are from " 21st September 2017 to 29th September 2017 "
Shardiya Navratri 2017 Calendar is mentioned below. This time Navratri is for 9 days rather than from last 2 years Navratri days are 8 days. Navratri 2016 Dates in October - " 1st October 2016 to 9th October 2016 "
On 10th day of is called “Vijaya Dashami”. It is also celebrated on large scale in many regions of India. Navratri is a festival wherein the entire 9 days are spent in fasting and in offering prayers to the goddess Shakti or Amba. One of the major cities to witness the navratri dandiya festival is Ahmedabad which is also known as cultural capital of the state. Also Surat, Rajkot, Vadodara are to visit during Navratri Festival. In Gujarat, people perform Sheri garba in large circle instead of small groups. Another aspect which makes the navratri dandiya festival unique in Gujarat is that security is a major issue with the organizers. Care is taken to ensure that all the members opting to play the raas garba are issued photo identity passes. Without that, they are not allowed to enter. 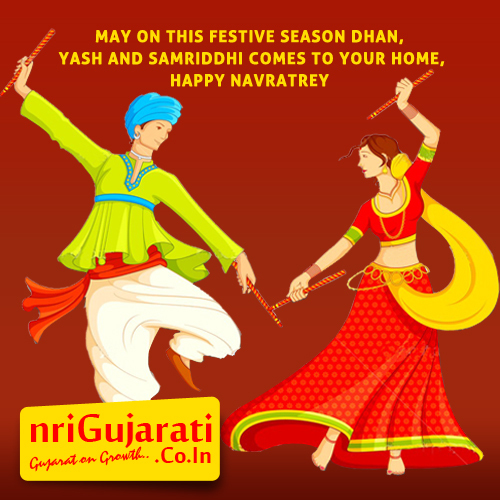 The dresses or the traditional costumes are a must to be worn during the navratri dandiya festival. It is indeed a colourful sight to see both men as well as women dressed in colourful attires replete with mirror work and embroidery. Even the sticks which are the most important prop during the raas garba are also coloured with colourful ribbons. With Dandiya in hand people play Garba in circle. To sum it all, you have to attend Navratri Festival in Gujarat to witness and experience this fun filled affair between traditional values and contemporary styles to believe the trend. Navratri 2016 ? ? Look out Navratri Organizers & Events used to conduct in your cities for Early Bird Passes Discount. 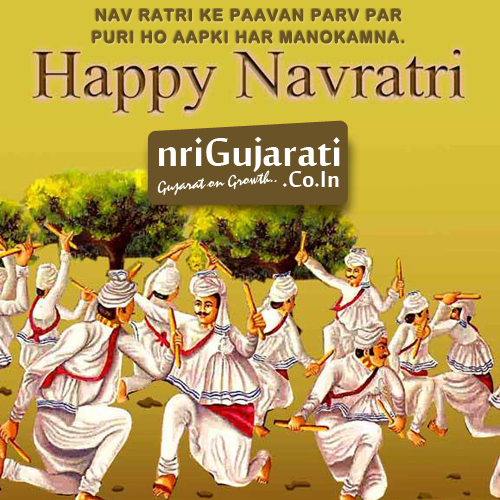 Gujarat, origin of Navratri Festival is always busy for these 9 Days. Gujaratis must be rocking again for this Navratri Fesival 2015. 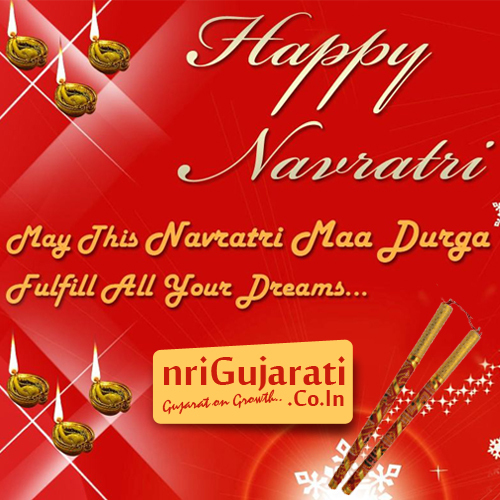 Gujarat Navratri Festival is one of the most famous event for All Gujaratis in various parts Gujarat State. People are searching traditional wear for the Navratri Celebration on the internet by typing keywords like Ghagra choli, chaniya choli, traditional chaniya choli, designer chaniya choli, garba outfits, designer lehenga, lehenga choli, kutch embroidery blouse, kutch embroidery designs, kutch embroidery border, embroidery patterns of gujarati style, kutch work, kutch embroidery zardosi, traditional kutch embroidery, kutch embroidery blouse, kutch work dupatta, Kutch Embroidered Head Covering (Odhni), embroidered cotton odhani etc..
On the other side, boys are comes to the Garba with costumes consist of Kedia, Churidars, Coloured traditional turbans and colored waist band. So, let’s dance on the dholi beats in this upcoming Navratri. My daughter has made Traditional Type Ornaments for navratri. If you send me your Email address I may send photograph.